At an early age Steve Knowlton knew he would run across America. He completed his first marathon at age 13. Since then he has completed 45 additional marathons and 7 ultra-marathons. 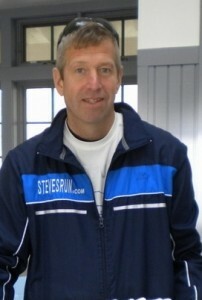 He completed his cross-country run in 2010 when he ran from Seattle Washington to Key Largo Florida. A 3,717 mile run in 100 days to raise awareness for Chrohn’s disease. In 2013 Steve set off on a second cross-country run, attempting to break the world speed record by running from San Francisco to New York City in 45 days to raise awareness for Asperger’s syndrome. Steve Knowlton, welcome to The Pursuit Zone.